Black History Month has been a highlight of the year for me for many years, as well as important to our diverse churches and our nation. This year unfortunately, I didn’t have the time I usually take to dig back in history and discover a new African American who made history. I have however, thought repeatedly of an African American who did make history in a different way… she made it for my life and my family. From a small racially divided town in Mississippi, a young African American girl named Pam faced great adversity, limited opportunity and poverty. Against all odds she made a decision to trust God, overcome countless obstacles and get a good education. With little assistance, except from an Aunt who raised her, she succeeded and made it to the finish line, earning her PhD from the University of Michigan. Not long after she was hired by the University of North Carolina-Chapel Hill where she became the first African American to receive tenure at the UNC School of Nursing. This April she will be inducted into the Lifetime Achievement Hall of Fame at the Pearl River Community College, where she began her academic journey. These are just a couple of her numerous accomplishments; I could name many more. Of significance to me, 22 years ago, along with her husband Kevin and two young children, Pam found our church, made it her second home, has served and led, and our family has never been the same. Pam has been much like a second mother to my sons, and was the obvious choice for godmother to our twin daughters. The twins call her “GMommy” and scream for joy when she frequently comes to our home to care for them or spend the night when we’re out of town. She is one of our most treasured friends and someone whom we trust with our lives. I’ve actually broken down crying more than once when I think about her gift of love to us and the twins, not to mention my son Jordan and her son Josh being best of friends and sofa-crashing at each other’s homes many nights. 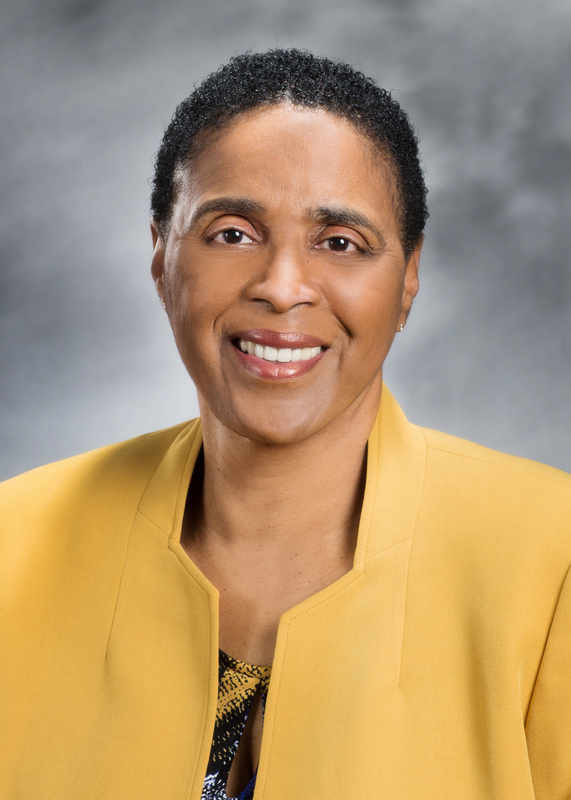 This year as I reflect on Black History Month, I keep thinking of Dr. Pam Rowsey who, in the face of adversity, poverty and limited opportunity, has broken many barriers and changed many lives. Instead of becoming a stat, she became a star. It’s not just our family’s privilege but also a true honor to know and do life with Dr. Pam Rowsey. To make Black History month more real to you, try this… build a friendship with someone of a diverse color and ask them about their life, their parents and grandparents. You may feel initially uncomfortable, but you’ll be forever grateful that Jesus gave you such an abundant life by giving you a friend of another color or ethnicity. It’s a gift indeed, and one for which I’m eternally grateful. 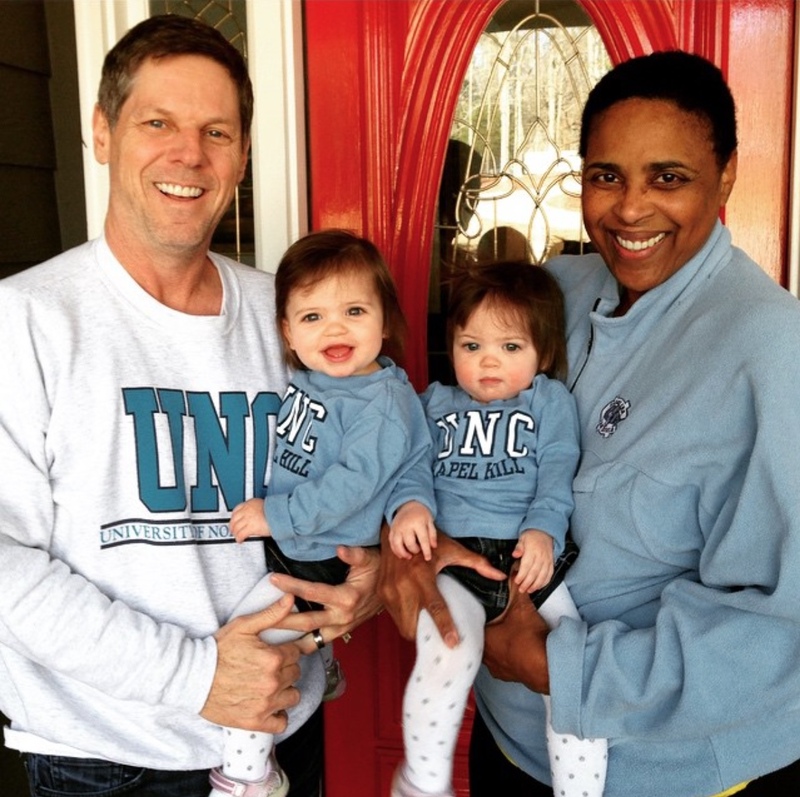 Even when the girls were babies, “GMommy” made sure they were Tar Heels! You made an exceptional choice when selecting Dr. Pam Rowsey to highlight for Black History Month. She is the epitome of what overcoming opposition and systemic oppression looks like, both as a female and an African American. Her character is solid and her love for ALL people unscathed. She is brilliant, humble and gracious. Kudos Pam! Hats off to Kevin, her equally dynamic spouse.